So what’s this about calling ducks? That, too, comes from the woodworking. 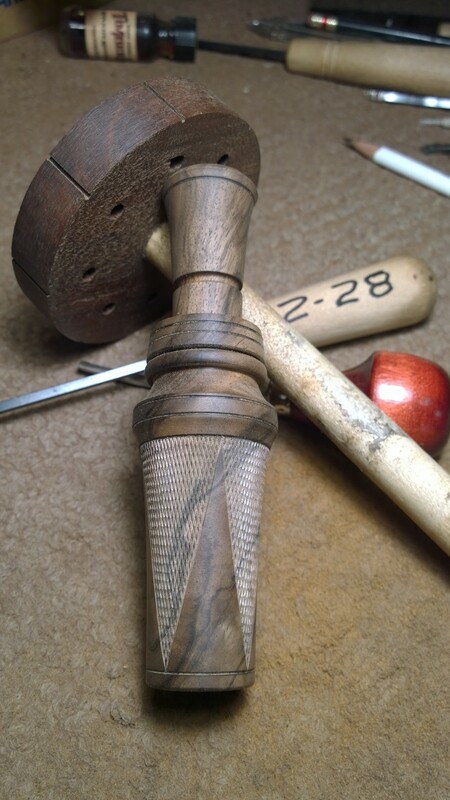 The evolution, in short: Starting in about 2000, a friend was building calls and Board began checkering them. 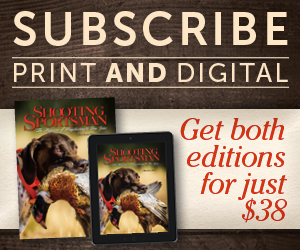 His oldest son, Parker, took up duck hunting and learned to call from a mentor. About 2006 Brian drew up a call and, with plenty of walnut in his shop, plans took shape. In 2013, the former call developer for Lohman Game Calls, Brad Harris, taught Parker the subtleties of tuning a call. 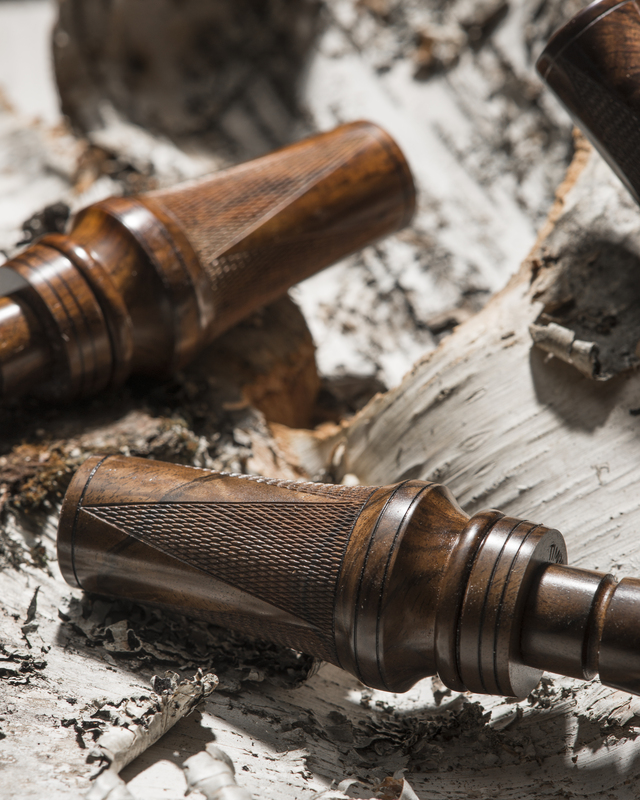 Fast-forward to now: Brian and Parker have begun producing the TimberLuxe Heirloom Duck Call. 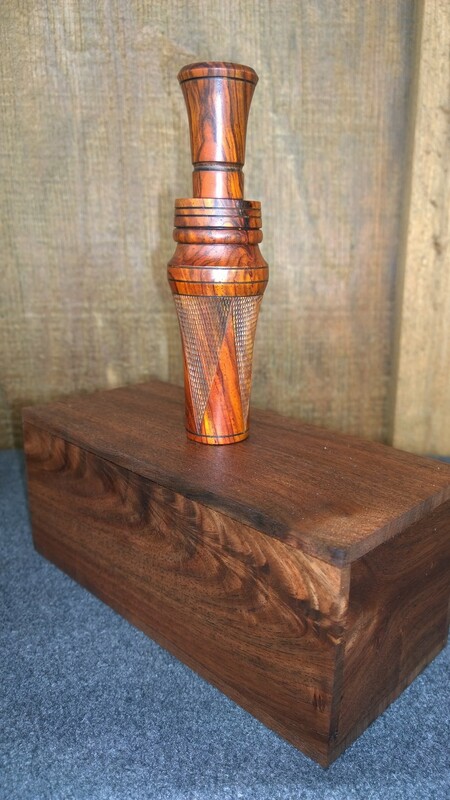 Made entirely in their shop, the calls start as figured walnut or dense, exotic hardwoods like cocobolo and African blackwood. 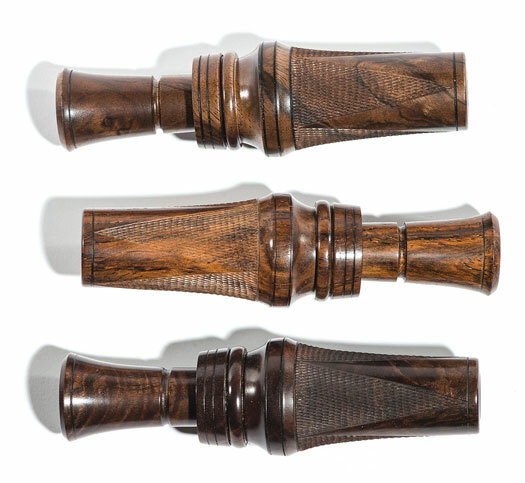 The calls are turned, checkered, finished and tuned in-house, and they are available as single- or double-reed with inserts that can be one piece or sleeved with cocobolo, African blackwood or acrylic. 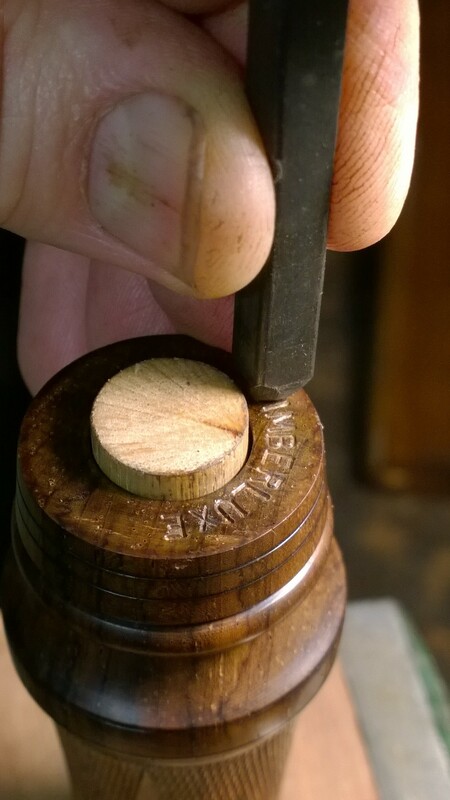 True to the “heirloom” moniker, each call comes in a walnut display box and is numbered and registered. Also provided are extra reeds, O-rings and a microfiber pouch. Base price: $800. 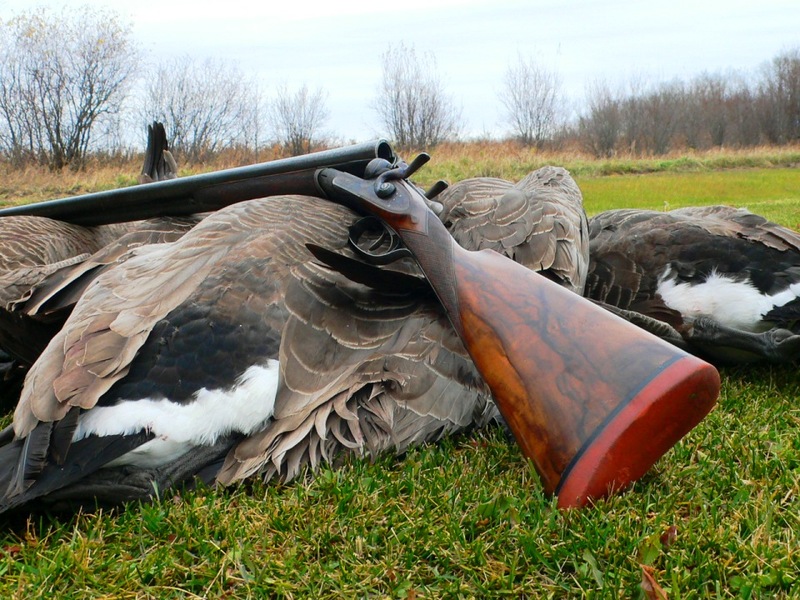 For more information, visit Timberluxe.